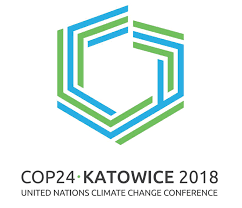 The subject this month is the UN's latest climate report, COP24. It's much too long and too early for a detailed review, but there have been several articles on the subject in The Economist and other news sources in December. The problem foreseen by the UN is still decades in the future, but there are some very credible expert opnions indicating a much faster arrival. Come to the dinner with whatever information on the pace of climate change that you may come across. The host will bring the material from The Economist as well as copies of his book on the current status of our major corporations, prior to the problem with climate change. The local Harvard Club book club, which has been in existence for ten years, normally meets on the second Wednesday of every month at 6:30pm for dinner and to discuss a wide-ranging selection of books -- fiction, poetry, biography, history, etc. They always enjoy having other interested people attend and participate. The Book Club will meet next at 6:30 pm on Wednesday, February 13th, in Citrus Heights, at The Wonderful Chinese Restaurant, 7042 Sylvan Road. Please contact Dan Blatt for more information and to RSVP.